What Is Engine Oil Nomenclature or Numbering System? 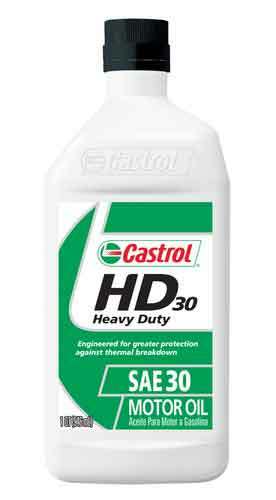 What is SAE-30 or Mono-grade engine oil? This type of oil is known as single-viscosity or mono-grade engine oil. Earlier generation engines used a common oil (which was SAE-30 grade) throughout the year. However, mono-grade oils work well only when the ambient temperatures are steady such as in the summer. Mono-grade oils become thin as they get heated and become thick as they cool down. Also, a mono-grade oil DOES NOT use any additives such as a polymeric Viscosity Index Improver also known as Viscosity Modifier. Society of Automotive Engineers (SAE) has developed numerical coding system to grade the engine oils according to their viscosity. SAE viscosity index includes the following numbers: 0, 5, 10, 15, 20, 25, 30, 40, 50 and 60. As a thumb rule, lower the number means lower viscosity and vis-a-vis. 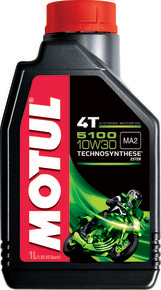 What is 10W-40 or Multi-grade engine oil? This type of oil is known as multi-viscosity or multi-grade engine oil. It means that this oil is suitable for use over a wide temperature range. The first number represents the temperature index of the oil i.e. the coldest temperature at which it can pass or start flowing. It shows the viscosity rating of the oil. This means, 10W-40 oil can flow at 10 degrees Celsius. Similarly, the 5W-40 oil can flow at 5 degrees Celsius. Multi-grade oil has dual properties. The second number represents its viscosity at 100 degC i.e. 40. The second number actually shows the viscosity (thinness/thickness) of the motor oil. Viscosity grades for engine oil range from 20, 30, 40, 50, to 60. Here, higher the number thicker is the oil. This simply means the 10W-40 oil is thicker than 10W-30 oil. Similarly, a 5W-50 is thicker than 10W-40 engine oil. However, it can flow at a much lower temperature of 5 deg Celsius. Multi-viscous engine oil provides better winter operation, fuel economy, and engine durability. It also helps reduce the wear and tear of engine parts during extreme weather conditions. What are 2T and 4T? What is Synthetic Engine Oil? Manufacturers of most modern day automobiles such as cars, trucks, and motorcycles recommend the use of synthetic engine-oils. Unlike the conventional oil which is extracted using a distillation process, the fully Synthetic oil is obtained from the crude oil or its by-products using a chemical process. The chemical process refines, distills, purifies and breaks down the Synthetic oil into its basic molecules. It also removes more impurities from the crude oil. Besides, individual molecules in the oil can be tailored to the requirements of modern engines. 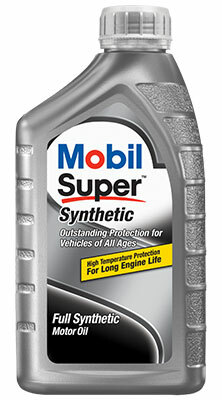 As a result, the synthetic oil molecules are more consistent in size and have more uniform properties. Offers greater wear protection for the engine. Flows better at low temperatures. Protects the engine better at high temperatures. Which engine oil to use? The manufacturers advise you to use recommended oil for your car, truck or motorcycle’s engine. It is because using a different grade of oil can hamper its performance and/or cause severe damage to its parts. You may use the oil of any BRAND. However, you should not change the GRADE as recommended by the manufacturer. Home » Technical Anatomy » What Is Engine Oil Nomenclature or Numbering System? What Is Bosch motorcycle to vehicle communication? What Is Mercedes-Benz Nomenclature Or Naming System? What Is Honda Riding Assist Technology And How It Works? Run Flat Tyres- How are they different from the ordinary tyres? What Is The Active Ride Control system In Cars?